DGI is an interior glass fabrication and installation company. 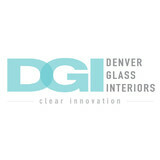 Denver Glass Interiors is a family owned Colorado Corporation providing installations of 3/8" & 1/2" Frameless Shower Doors, Framed and Semi-Frameless Summit Shower Doors, Slumped Glass, Mirrored Wardrobe Doors, Custom Mirror Work, Glass Tables, Glass Railings, Painted Glass and Tenant Finish Glass. Using state of the art equipment, our expert craftsmen cut, shape, polish, bevel, drill and temper any shape or size glass to your specifications including: clear glass, tinted glass, patterned glass, laminated glass, mirror and heavy float glass ranging from 1/16" to 3/4" thick. We provide glass products and services for Homeowners, Contractors, Designers, Architects, Restaurants, Hotels, Casinos, Millwork and Glass Companies, and are showcased in many of the finest hotels, offices, and homes in the country. For on-time delivery of quality crafted glass and mirror products, there is no better place to look. We continually strive to exceed expectations by ensuring that every service is completed right the first time. The next time you need assistance with home repairs and home maintenance, rely on a company that offers unparalleled knowledge, experience and expertise. Contact us today to learn more about what sets us apart from the competition. We look forward to the opportunity to serve you! We specialize in custom, frameless glass showers and wine cellars and mirrors, but will try and accommodate any of your glass needs! Master Shower Door Installer 20 years experience and a Colorado Native born and raised. Brian's Shower Door & Glass Services is a mobile Shower Door & Glass Company in Englewood, CO. We specialize in all types of shower door design and installation, including European style, semi-frameless, bypass, and custom shower doors, as well as, window glass repair and installation, glass doors, glass table tops, mirrors, mirror installations, custom mirrors, glass protection, broken window repair, broken shower door repair, and glass replacement service. At this time we are able to offer some services in the evening (e.g. shower door installation) by appointment only, to assist you in your tight schedule. We can also install your product, such as a shower enclosure purchased at Lowe's or Home Depot. For more information, please contact us at 720-431-1536 or email us. Hillcrest Glass is a full service glass shop that has served the needs of Boulder County and the Front Range of Colorado since 1969. We’ve been locally owned since the beginning. We specialize in custom shower enclosures, mirrors, window repairs, replacement of fogged or broken insulated glass and glass cut to size. Our showroom has samples of all of these products, so visit us to get your project started. We work with home owners, residential and commercial property managers, home builders and commercial contractors. We offer free design consultations and quick and accurate quotes for projects big or small. Call, e-mail or stop by with basic measurements and we will give you inspired design options and pricing. 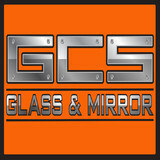 Glass and Glazing contractor established in 1969. Glass craftsmen that will lead you through material selection and design options to create the project that you dreamed of. Full showroom to help you see, touch and feel the options available. Give us a call or stop by the showroom to get quotes and design help. Your vision is our craft. Most people do not enjoy cleaning their homes. They want products that make cleaning easier and quicker. How about a product that allows you to clean less often? Well, the reason surfaces become dirty over time is because water, oils and dust adhere to them. Shower glass and mirrors are especially prone to this type of damage. Kleanaroo is applied to the glass, creating a smooth surface. Water, Oil and Dust cannot adhere. Baron Glass is a family-owned and operated interior glass company with 24 years of hands-on experience. We offer new and custom concepts in interior glass and provide the highest level of glass craftsmanship in Colorado. We provide everything from space planning and design consultation to measurement and installation for glass interior projects. GlassTek is a Denver based company whose sole focus is glass-based innovations. We offer our customers high end options to upgrade their current homes and office or build a new space with the finest in new technologies. We offer Smart Film, LED and TV Mirrors, Laser Engraved Glass, Interactive Touch Displays, Infrared Frames, Holographic Displays and much more. Hansen Glass is a full-service glass shop independently owned and operated since 1986 in Parker, Colorado and serving south-Denver communities as far as Castle Rock. 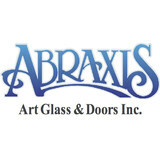 We specialize in residential glass production and repair, custom shower enclosures, screen repair and fabrication, providing services to homeowners, home-builders, and remodeling contractors.. Quality products and workmanship, safe installations, excellent value and outstanding service have always been our focus. Your most trusted source for everything glass. Family owned and operated since 1961, and with 2 locations, we serve all along the Colorado front range. We have the best window and shower installers in the business. Beltline Shower Doors and Mirrors is a locally owned and operated company. We offer the personal attention and professionalism that you expect from a local small business owned by a friendly neighbor. Your complete satisfaction is our goal and we strive to be referred to family or friends that might need our services. We install high quality shower doors and enclosures, custom fit to your shower or tub. Whether framed or frameless, we provide only the best in products and service. We work with homeowners, builders, designers, architects and remodelers through the Denver Metro area. Whatever your project, we are focused on providing high quality, custom shower glass at a competitive price with quick and courteous installation. Whether you have recently renovated your shower area or would simply like to replace an old shower door, we're ready to help. We have over 20 years of experience in the industry and hundreds of satisfied customers. RavenWindow ™, a self-tinting window resulting in an uninterrupted connection to the outdoors and natural light. The RavenWindow™ tints automatically and within minutes with no controls, wires or electricity. The window is truly dynamic. RavenWindow ™ engineered a thermochromic filter that gets incorporated into the window at the time of manufacturing. Activation of the filter results when the exterior glass temperature reaches the transition point. Transition occurs in minutes to a tinted state, blocking solar heat, minimizing glare and reducing the load on mechanical systems. Therefore, creating a cool and usable space while maintaining connection to the outdoors during even the hottest of days. What can a local Highlands Ranch glass company help me with? If it’s a major home glass repair or replacement, the Highlands Ranch glass company should work directly with your insurance company to help bring down costs for you, if applicable. Find Highlands Ranch glass companies on Houzz. Narrow your search in the Professionals section of the website to local glass, mirror and shower door services in Highlands Ranch, CO and read reviews and ratings to find one that fits your needs.